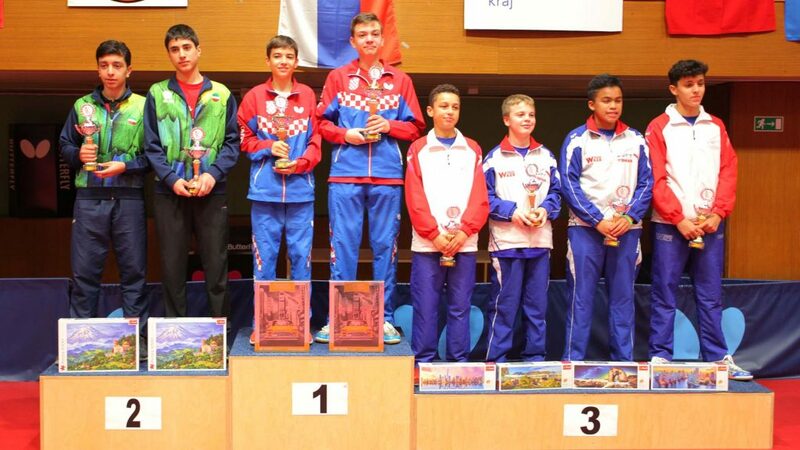 Two days of play completed at the 2017 Slovak Cadet Open in Bratislava, the honours belonged to France; Fabio Rakotoarimanana and Myshaal Sabhi had won the Boys’ Team title, the counterpart Girls’ Team crown had finished in the hands of Chloe Chomis and Lou Frete. However on the concluding day of action, Sunday 5th November, there was more French success but there was a much greater share of honours. French success emerged once again in the guise of Chloe Thomas and Lou Frete, they won the Cadet Girls’ Doubles event beating Romania’s Ana Cristina Barbu and Diana Radu (11-5, 11-4, 8-11, 11-8) in the final. Success for France but in the other competitions contested on the concluding day of action, it was success for Poland, Germany and Croatia. Maciej Kubik flew the flag for Poland. He won the Cadet Boys’ Singles title. In the latter stages he accounted for Germany’s Felix Kohler (11-3, 11-3, 11-5) and Frenchman Ethan Claude (11-8, 11-5, 11-7) prior to securing gold at the final expense of England’s Joseph Hee (11-3, 11-7, 5-11, 11-8). In the opposite half of the draw Joseph Hee had caused a major upset by recording a second round success against Myshaal Sabhi (11-9, 11-7, 10-12, 11-5), the player who had remained unbeaten throughout the Boys’ Team event. 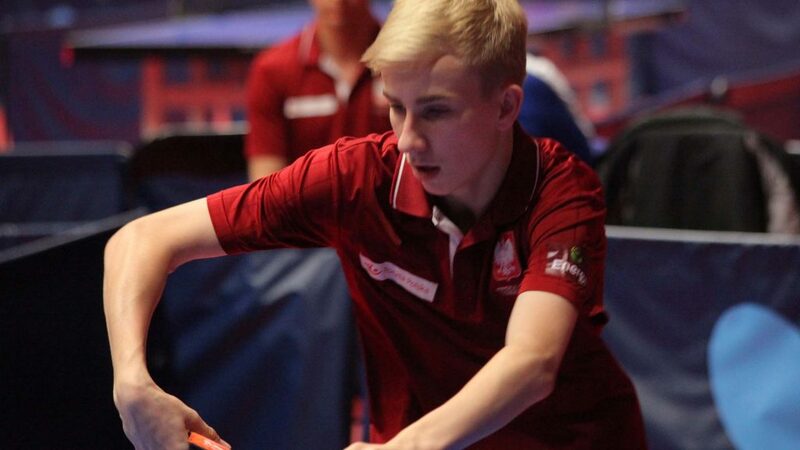 Later, at the quarter-final stage the young Englishman inflicted more pain on France by beating Hugo Deschamps (11-3, 11-4, 11-8), prior to reserving his place in the final courtesy of success in opposition to Germany’s Mike Hollo (12-14, 11-6, 11-5, 11-7). A bronze medal for Germany, in the Cadet Girls’ Singles event it was gold and silver; in the title deciding contest Naomi Pranjkovic beat compatriot Anett Kaufman (11-9, 16-14, 11-9). Earlier, in the later rounds Naomi Pranjkovic had beaten Ukraine’s Iolanta Yevtodii (11-13, 11-9, 8-11, 11-6, 11-4) and Iran’s Parinaz Hajilou (12-10, 12-10, 6-11, 9-11, 11-7) to reserve her place in the final. In the opposite half of the draw, after recording a third round success in opposition to Anastasiya Dymyrenko, the top seed and like Iolanta Yevtodii from Ukraine (11-9, 11-7, 11-9); Anette Kaufman beat Lucie Mobarek of France (13-11, 11-9, 9-11, 11-6), prior to ending the progress of the Czech Republic’s Linda Zaderova (11-7, 16-14, 11-9). Gold for Poland and Germany; the Boys’ Doubles event it was success for Croatia; at the final hurdle Ivor Ban and Filip Borovnjak accounted for Iran’s Arya Amiri and Radin Khayyam to claim the top prize (11-3, 6-11, 9-11, 12-10, 11-5).